Details released Friday about how claims will be paid from BP PLC's $20 billion fund show that how close geographically a person or business is to the Gulf oil spill will play a key role. The claims process is shifting from BP to the Gulf Coast Claims Facility effective Monday. It will be run by Washington attorney Kenneth Feinberg, who also handled claims from the 9/11 terror attacks. The new rules govern emergency claims that can be made between Monday and Nov. 23. 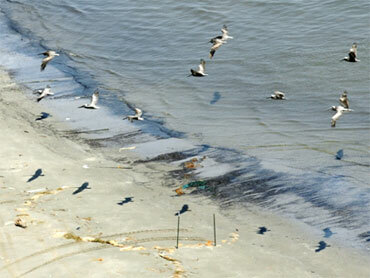 Claimants will not give up their right to sue BP and other spill-related companies in return for the emergency money. But final settlements coming later this year will include a waiver of the right to sue BP and other companies involved in the oil spill. The documents say claimants must show how the spill caused damage or economic loss, including their geographic proximity to the Gulf disaster and "dependence upon injured natural resources." That could leave out many people and businesses - such as a Realtor who lost sales, or a restaurant supply company miles from the Gulf whose customers stopped buying. The losers could, however, still file a lawsuit seeking damages or become part of an existing class action case. Feinberg said his goal is to have emergency checks done within 24 hours for individuals and seven days for businesses. Many people have complained about the sluggish BP process. "Having the emergency protocol in place is the first step to helping people on the path to recovery," Feinberg said in a statement. Claims already filed with BP have been transferred to the new facility. But the people and businesses who filed those claims may need to file new paperwork before they can receive payments, Feinberg said. Some attorneys representing fishermen, property owners, hotel operators and others say the lawsuit waiver to be included in the final claims phase will force many people to make a difficult choice: take a potentially lesser claim now or wait for a possibly larger payout later through court action. It could also protect BP from huge damage awards in some cases. "They realize that small payments will be grabbed by some, and then in the future they will have no access to justice. Which is sad but true," said Jere Beasley, a plaintiffs' attorney in Montgomery, Ala.
More than 300 lawsuits have been filed against BP and the other companies involved in the April 20 blowout aboard the Deepwater Horizon drilling rig, triggering the massive Gulf oil spill. BP said earlier this week it has already paid more than $368 million in claims.